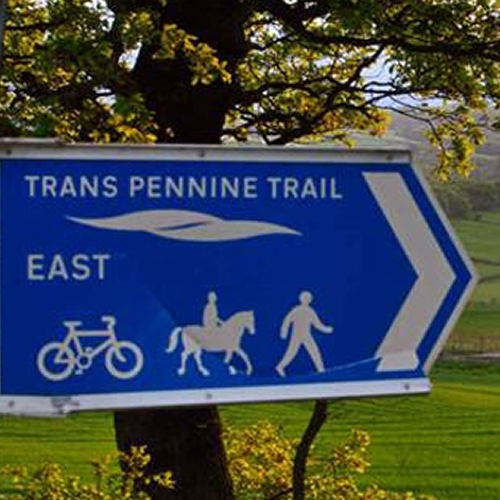 In 2016, we were asked by the Friends of the Trans-Pennine Trail to audit a 1.5 mile section of the trail from Torside to the Woodhead tunnels. They had been granted funds from a family legacy , pledged with the wish that the money be spent on making a section of the trail, dearly loved by the family, accessible for all. The Friends of the trail and trail staff were struggling to find an access consultant that could audit the trail from a truly ‘pan-disability’ perspective, which is why they contacted us. They wanted us to utilise our expertise to audit this section of the trail, identifying the barriers it presented to visitors with access needs and make recommendations that would make it accessible for everyone. We audited the trail from the perspective of people with hearing impairment, vision impairment, mobility impairment, autism, learning difficulties and dementia. We assessed, not just the facilities on the trail, but also the information provided and the customer service offered at each stage of the customer journey: from the ‘planning our visit’ stage to leaving for home, taking photographs to illustrate our audit throughout. Work is now in hand to implement our recommendations and the audit report has been a helpful tool in securing ‘matched funding’ for the initial legacy, enabling the original amount to be more than doubled. In 2017 we were asked to deliver ‘Access For All’ training sessions for partner organisations throughout the 215 mile length of the trail in order to improve accessibility awareness across the country. We are now regularly contacted by people from the many local authorities, user groups and others who look after and use the trail and give further advice and support on improving accessibility. This combination of a comprehensive accessibility audit, coupled with improved awareness is set to make the trail an exemplary accessible destination that we are proud to be a part of.